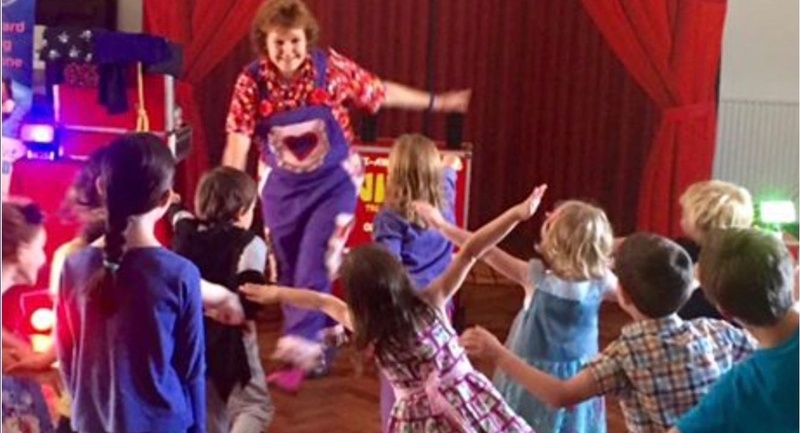 Disco Magic & Games Show packages available through Children's Party Ents Ltd.
Just like the Music magic and games package, our entertainer will run the whole party for you. All you need to do is sort out the party food (approx halfway through) supply the cake and party bags. This also allows you to enjoy your child’s special occasion “stress-free”. Organise all the party games for you. Supply all the hi-tech disco sound/lighting equipment and effects needed, and playing all your favourite party dances and up to the minute latest chart hits. Perform an amazing fun comedy magic show. Supply any prizes required during the games and magic show. Our entertainers are professional, reliable, friendly and approachable. The kids will just love them, and you can relax knowing that your child will be the talk of the playground, and will have a party that they and their friends will remember for many years to come. So why not add that extra bit of fun to make it a really memorable party.